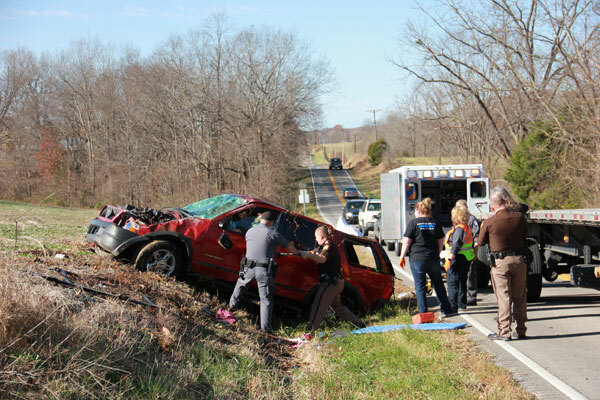 One person was injured yesterday as a result of a single vehicle accident 2.5 miles north of Columbia on Greensburg Road. According to a witness, a 2004 Ford Explorer being operated by Judy Richards of Columbia was traveling north on Greensburg Road when she lost control of her vehicle and overturned numerous times. Richards was trapped in the vehicle for several minutes and was extricated by Sheriff Harrison Moss. 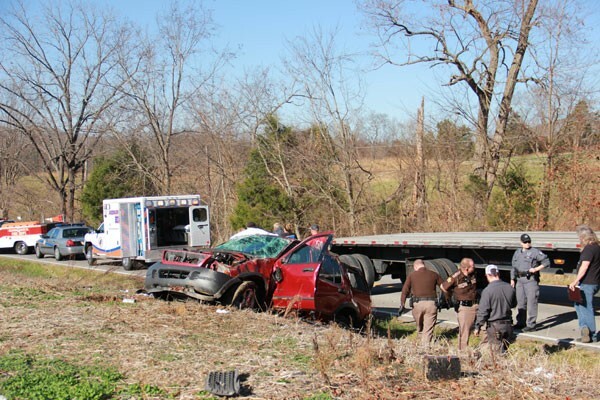 Richards was treated on scene by Adair County EMS and transported to TJ Health Columbia for further treatment. Impaired driving is believed to be a factor and Richards was charged with operating a motor vehicle under the influence of alcohol/drugs first offense and failure to maintain vehicle insurance. Deputy Aaron Rainwater is investigating the collision. Judy Richards, of Columbia, lost control of her vehicle and overturning several times. She is charged with driving under the influence of alcohol/drugs, first offense and failure to maintain vehicle insurance.